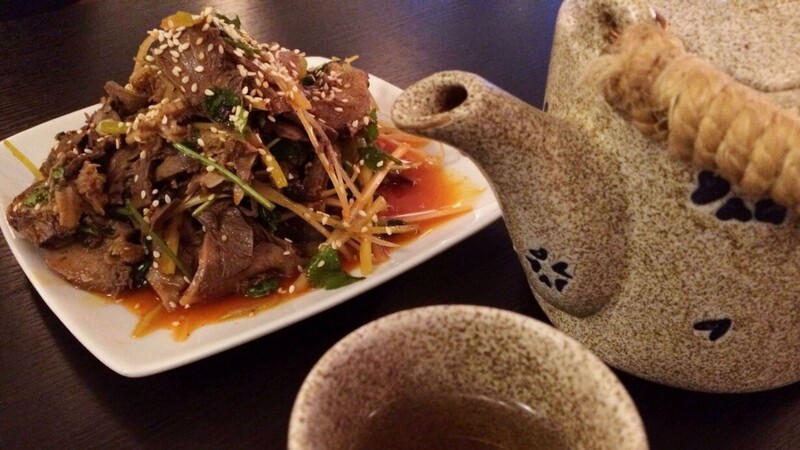 AOK guides you to five authentic Chinese restaurants in Copenhagen. If you’re the type of person who would judge an eatery based on amazing flavor, you should swing by Noodle House on Abel CathrinesGade. The small and modestly decorated restaurant doesn’t draw much attention to itself, but this is the place where a little, Chinese family creates authentic and tasty dishes that attract both locals and people from the restaurant business. The chef at Noodle House, who’s always wearing a white chef’s hat, works in an open kitchen behind a counter and makes the food from scratch. Whether you like stir-fry with tender beef strips, carefully folded wontons in a soup or prefer going all in with cold pig’s feet, you can expect everything to be tasty. Noodle House does, as the name suggests, specialize in noodles and makesits own noodles and rice flour pancakes for dumplings. The price for a main course is between 65-160 DKK. This means that many people have to get their food to goas there are only ten seats, which are often occupied by “local” Chinese and all kinds of noodle enthusiasts. Royal Garden is located on the corner of DronningensTværgade and Borgergade. When you step into the restaurant, you have to cross a miniature bridge and from the loudspeakers, you might hear a Chinese version of “Rock Around the Clock”. But don’t let that scare you off- this humble restaurant has some of the best dim sum in town. 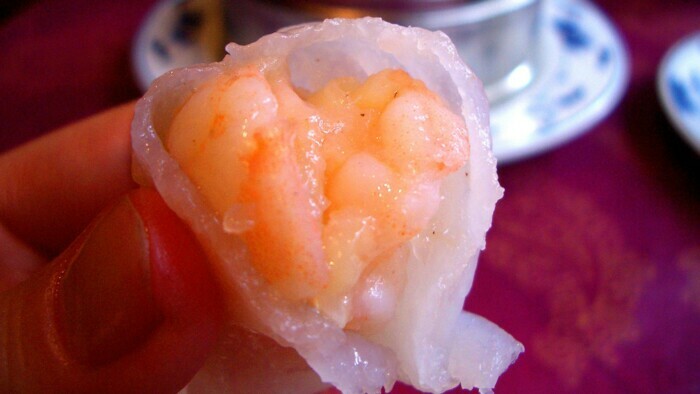 Dim sum means something along the lines of “the heart’s delight” and it is China’s answer to tapas. It was originally served alongside tea asa snack but now you can have dim sum for brunch, lunch and dinner. On weekends, you might be the only westerner among large families with children of all ages speaking loudly in Chinese and there is a light scent of jasmine tea in the air. The place is furnished with large, round tables with a middle part that rotates, making it easier for you to try all of the little dishes. The food is made from classic, Chinese recipes, which means that you might get sweet dumplings at the beginning of the meal and fish dishes later on. The restaurant Corner & I, which opened in the fall of 2013, might not look like much from the outside, but once you get inside, you can tell fromthe interior design that this place is ambitious. 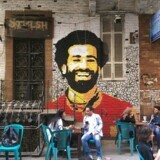 There are no carved golden dragons or half empty fish tanks buta casual atmosphere with light walls, simple wooden tables and the chairs are upholstered in cream-colored velvet. Corner &ispecializes in the so-called “Sichuan” cuisine, which is, among other things,characterized bythe use of Sichuan pepper.This unusual spice can almost numb your tongue and itproduces an odd, “buzzing” sensation in your mouth. People with sensitive taste buds would therefore be well advised to ask the kitchen to cut down on the spiciness. The chef has more than 20 years of experience from top restaurants in China and he creates genuine, Chinese dishes in Vesterbrowith both completely normal ingredients and more exotic ones such as chicken feet, cow stomach and pig ears. The freshly brewed jasmine tea is the perfect complement to the food and the ever-smiling, female owner will happily give you a refill free of charge. If you don’t have a reservation, you probably won’t get a table. 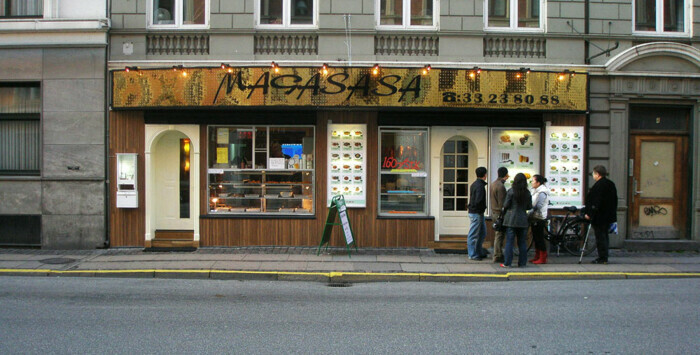 Even AOK had to realize that when we went to visit the immensely popular Restaurant Magasasa on Istedgade. The Chinese eatery is located close to the Central Station and the glimmering gold sign lures you in. You can grab a quick takeout box, bring home a complete, Chinese dinner or eat at the restaurant, where the owners have made an effort to spruce up the place. You’ll be sitting in luxurious, upholstered chairs, which sharply contrast with the takeout section with its slightly worn counter and juicy BBQ ducks hanging from the ceiling, exactly like you see them in the New York City Chinatown. The menu is extensive and decorated with small pictures of all of the dishes accompanied by descriptions in both Danish and Chinese. The cuisine is south Chinese, which means that you can get soups with dumplings, the traditional, glazed Peking duck with pancakes and the classic Gong Bao chicken with cashews. 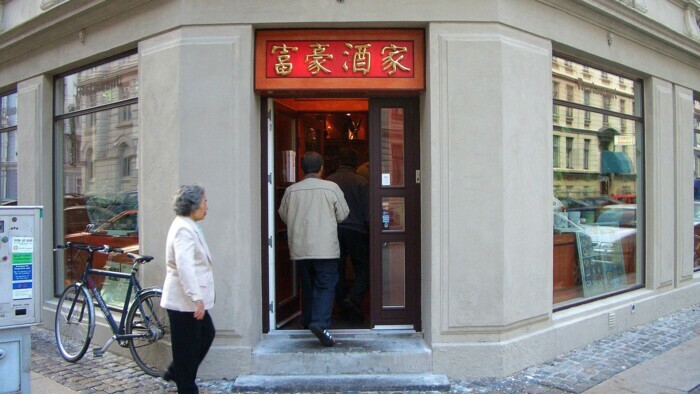 There’s no doubt that Vesterbro dominates the list of authentic, Chinese eateries and Fu Hao on Colbjørnsensgade is no exception. They also have a special focus on dim sum and both local Chinese and Copenhageners flock to this place to enjoy meals that last for hours and center on the little treats, which are often accompanied by a pot of hot, green tea or jasmine tea. The kitchen draws inspiration from the Chinese Canton province, where the food is low-fat and lightly seasoned. Danes with a fear of spices have nothing to be afraid of as only very few of the dishes are spicy. Instead, there are a lot of sweet and sweet-and-sour dishes with fruit and sugar on the menu. The chef never compromises when it comes to ingredients and he always makes sure to use the best produce, even if the food comes out a little more expensive. Fu Hao definitely focuses on the food, which you can tell by the unremarkable interior decoration and service. But if you’re looking for a genuine Chinese experience, Fu Hao is worth a visit.